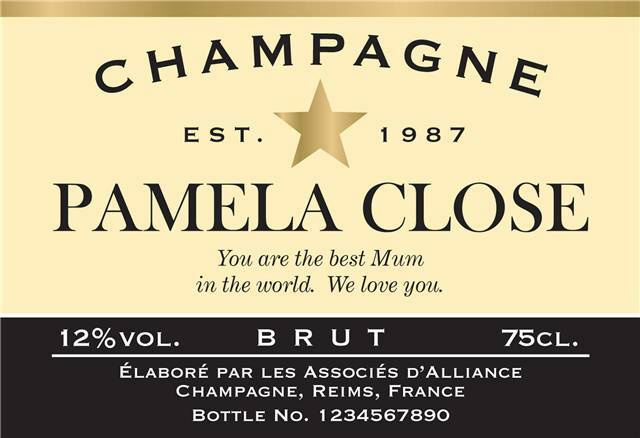 Whatever the event, give them a personalised bottle of champagne to complete the celebration. This fine bubbly is perfect for toasting the occasion and is unique and individual to the recipient(s). The bottle's label is personalised with a name, the year and a personal message. The special materials used in label production make it resistant to water and scratches. That prolongs the life of the bottle and the memory. Presented in a gold giftbox.